Mesquite burl custom brush handle made by Bob Quinn of Elite Razors. I received it yesterday and already installed the new knot. The empty socket was sufficiently wide to permit me to add a dark brown ring at the base of the knot, and I think it came out looking quite handsome, if I may say so. Last edited by brothers on Wed Nov 07, 2018 6:58 pm, edited 1 time in total. Very handsome brush, Gary. You did a great job. Enjoy it! Backup Floris No. 89 splash aftershave and Santa Maria Novella Emulsione Analcolica for those rough days. smoothie recipes for weight loss! Today I got two new DE razor handles from Toby at Triad Razor and some vintage Penhaligon's English Fern aftershave and matching tallow English Fern shaving soaps. A beautiful new razor handle from Triad arrived today, a purple highlighted Aristocrat. A butterscotch D01 2-band Shavemac (26mm/54mm), from a group buy. I just got this combination of iKon DLC pieces, a top cap, an open comb base plate, and an OSS base plate. I plan to use the cap and OC plate in my rotation for comparison to the Feather heads I've been using, since I don't believe I have tried my vintage Light Brigade blades with an open comb razor. I'll probably just put the OSS plate up for sale. Today I got some cheap plastic pipettes. I tried one for transferring aftershave from one bottle to another, with a tiny opening, that I wanted to fill, and it worked well. It was kind of slow, since I could move only 1.5ml at a time, but it did work. And I got a bottle of Pierre Cardin splash aftershave, which I have never used before. In the bottle it smells a little more perfumey than I like, but I'll have to see how it is on my skin. Hello guys. There are new Myrsol shaving creams. I'm using them these days. Formula C is already in distribution. Formula K will be soon, and Agua Balsamica will take a little more time. All are shipped internationally to Sweden and hopefully everything gets through customs. My vintage set of Penhaligons English classic arrived today (I can post a picture of it after the weekend). But damn that was some poorly packaging from the seller, the four miniature bottles were all loose in the box and leaking everywhere. Theres still plenty left in the bottles though but I live in a small apartment and my whole room reeks of perfume, I even had to put the empty box out on the balcony for the thing to ventilate. 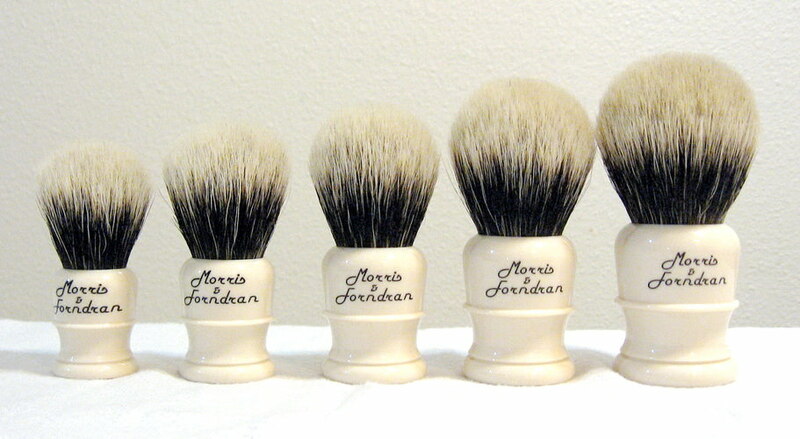 A set of small M&F Blondes arrived. I'm not really sure why I bought them, since I already had a full brush rotation. And at this point I don't know if I will use them or not; initially I'll probably just admire them. 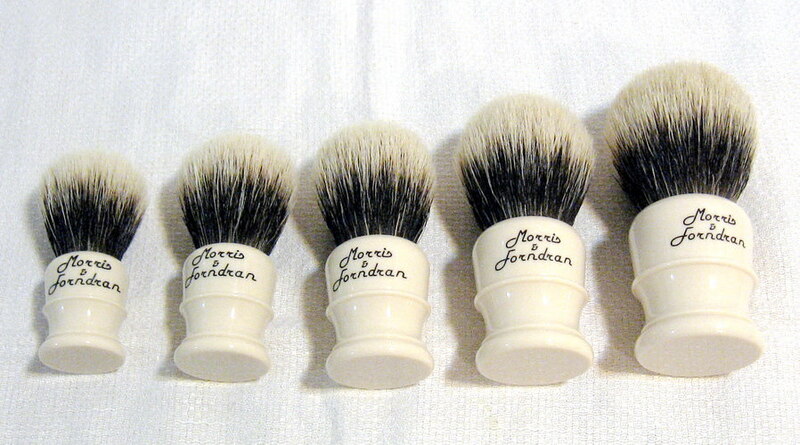 Those are some beautiful brushes John! I think I saw your Ebay-listing... If I only had the money! 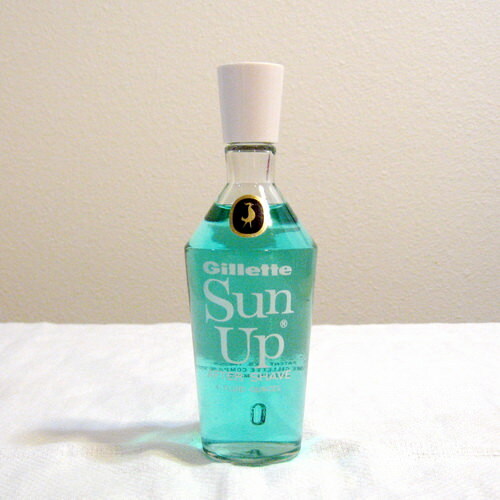 Vintage Gillette Sun Up aftershave. It smells great, with a sort of barbershop tone. 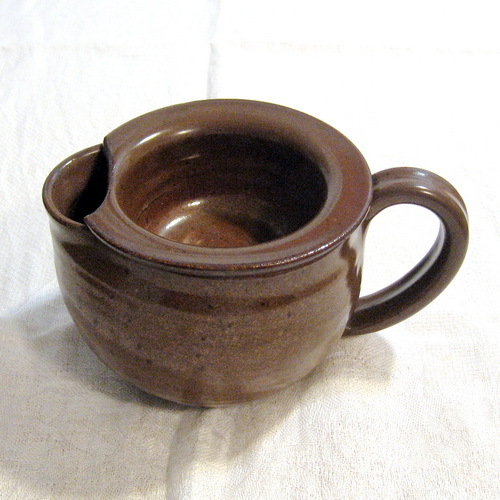 A small Classic Moss scuttle. I'll use it with my smaller brushes. The push-up tube is a very good alternative to a bowl. Yesterday I shredded the soap and pressed it into this repurposed deodorant tube.